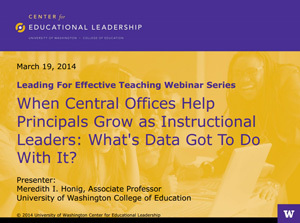 Webinar: When Central Offices Help Principals Grow as Instructional Leaders: What's Data Got To Do With It? This webinar featuring Dr. Honig is the second in a series of webinars that CEL is hosting related to how central offices can best support principals as instructional leaders. 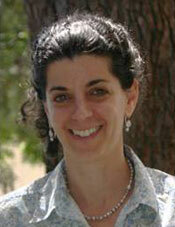 The webinar series features leading experts who address aspects of the Principal Support Framework. During this webinar, participants will engage with research on (1) how central offices are fundamentally transforming how they work with principals to help all principals grow as instructional leaders and (2) how district leaders work strategically and continuously with data about central office performance as an essential part of that process. We will explore challenges districts face when trying to work well with data to improve their performance and suggest next steps for district leaders to consider.